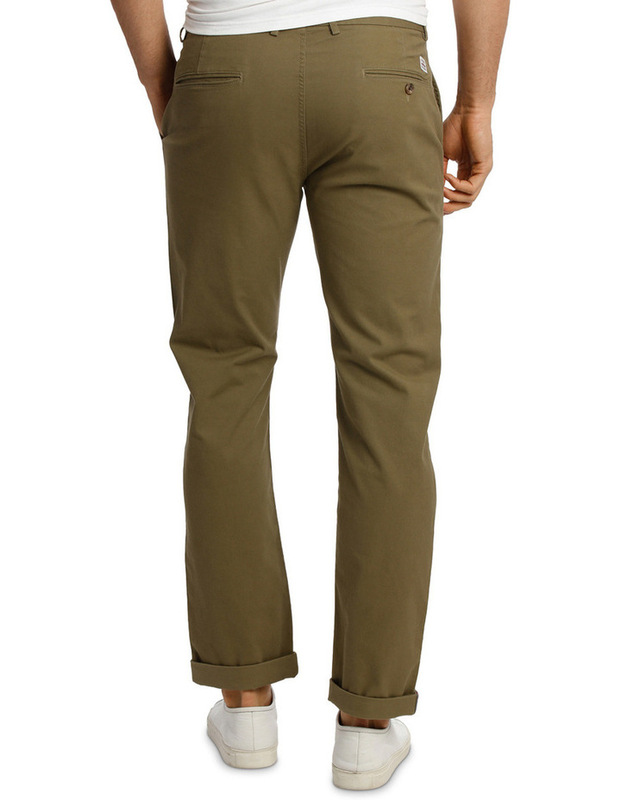 Slim Stretch Chino Olive. 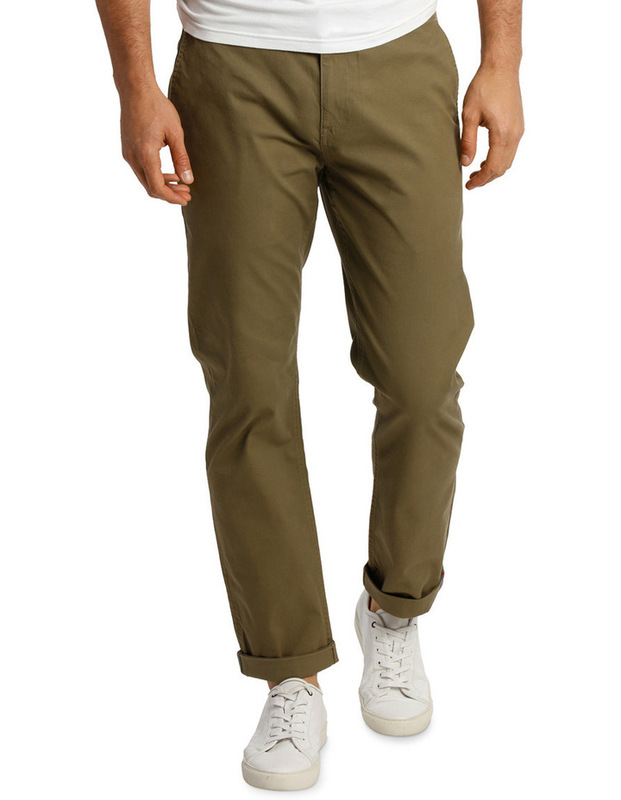 Take your casual wardrobe to the next level with our slim stretch chino. 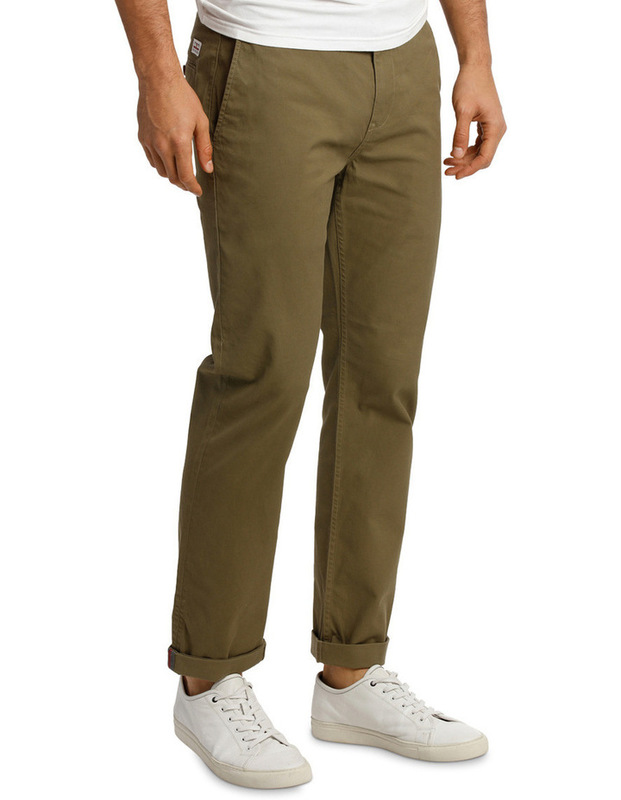 With a clean silhouette and formal inner construct these trousers feature a front coin pocket, concealed zip fly and a herringbone part-lining. 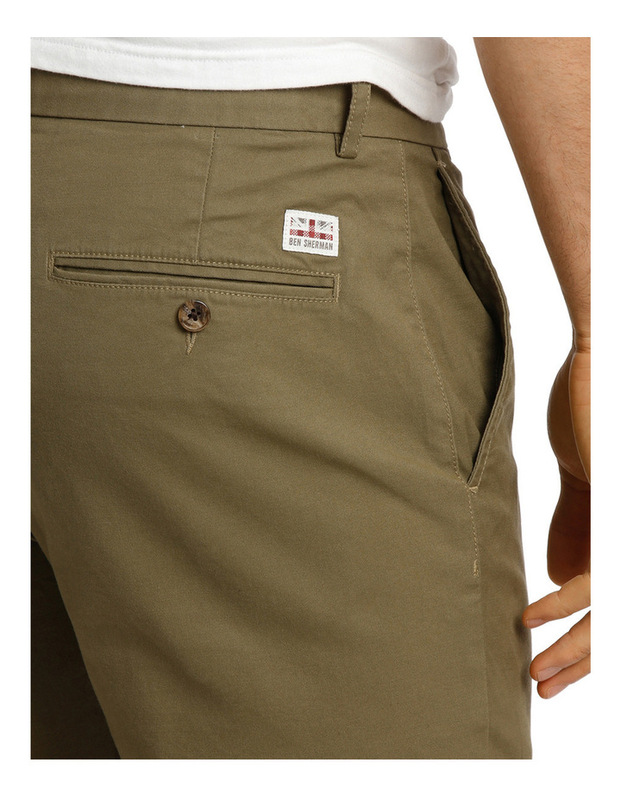 Also includes two welted back pockets; one featuring ben sherman branded label and button-fastenings.